Others become emotionally over-reactive to any current challenge that resembles it. Still others seem to have mentally processed the trauma so that it no longer causes any emotional discomfort. How can you determine if a prior trauma is still affecting your relationships, your family, your work, your health, and many other aspects of your current life? Here’s how:If imagining a past trauma causes your throat to tighten, your heart to speed up, your stomach to churn, and strong feelings to surge through your body, it has not yet been fully processed emotionally, and it’s likely to be affecting your life in many troublesome ways. Like every other species on the planet, we respond to trauma by fight, flight, or freeze. Unlike lower animals that tend to freeze physically, we humans freeze emotionally, and even though it’s clear to our “knowing” brain that we survived the trauma, it feels like it’s stuck and still going on in our “feeling” brain. Fortunately, thanks to the combination of two powerful therapies, EMDR (Eye Movement Desensitization and Reprocessing) and IGI (Interactive Guided Imagery), persistent feelings of unresolved anxiety, sadness, or anger can be quickly reprocessed and resolved in just a few sessions. As a result of this “emotional housecleaning”, trauma can be remembered, but without any “juice.” The memory is unfrozen, unstuck, reprocessed, and emotionally completed and it no longer evokes any uncomfortable feelings whatsoever. Many of my patients report that they have been able to overcome traumatic recollections and thoughts that have plagued them most of their adult lives. While years of prior therapy did little to help, they say that they can now recall and even discuss prior trauma with little or no discomfort whatsoever. The combination of EMDR and IGI has been especially helpful to my patients with persistent feelings of anxiety or fear, grief or depression, or anger or rage that they can’t seem to get over no matter what they do. These uncomfortable moods are often the result of a major disappointment, an unexpected loss, a humiliating experience, a betrayal, a serious illness or other threats can shock the psyche and cause a form of post-traumatic stress disorder (PTSD). Fortunately, the combination of EMDR and IGI can painlessly and effectively relieve the emotional consequences of these challenges. If you’re still having emotional or physical discomfort when you recall a traumatic event, this combination can probably help help you, too. Call us at 310-474-2777 and schedule an appointment iif you’d like to find out more. Need To Quit Smoking, Drinking Alcohol, or Using Drugs? Break Your Smoking Habit is our 28 day protocol that has enabled 19 out of 20 patients to successfully quit smoking. You even get to continue to smoke for the first 14 days while you properly prepare yourself for Quit Day using a wide variety of evidence-based techniques (excluding medications). By combining acupuncture, herbal and nutritional supplements, electronic stimulators, EMDR, IGI, and psychotherapeutic support, we have also been successful in helping people to stop using alcohol and a wide variety of recreational drugs. Our program has been so successful because it quickly stops the intense cravings for the desired substance that makes many other programs fail. Overcoming these habits is one of the best ways to improve your health and extend your longevity. Let us know if we can help. On Us! 2 FREE Stress Relieving Tracks! For a limited time only, we’re offering the tracks Cabana in Tahiti and The Clock from Stress Free Moments absolutely FREE! These 12 powerful visualization techniques use suggestion and the power of the mind/body connection to help your mind and body cope more effectively with stress and maintain the best mental, emotional, and physical health despite the stress and demands of these trying times. To get your FREE tracks today, click here! A certain type of acupuncture can actually help people lose weight more quickly! Acupuncture can increase metabolism, reduce water retention, regulate sugar levels, and rebalance hormones. It can also help your body to manage stress, which can lead to binge eating and other unhealthy eating habits. Acupuncture and herbal formulas speed weight loss most rapidly when they are combined with an appropriate diet, exercise, stress management, and sufficient rest. 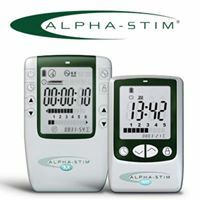 Losing weight is one of the best ways to improve your health and longevity, and acupuncture has helped many of my patients to achieve long-term success when prior attempts were only short lived at best. Let us know if we can help you, too. Why A Vitamin C Cleanse Is So Critically Important For Maintaining Optimum Health and Extending Your Life! I was fortunate to have lunch recently with Russell Jaffe, MD, PhD, the brilliant physician and molecular biochemist who created and directs PERQUE, one of the world’s most advanced nutraceutical companies. As seniors, we talked extensively about the metabolic consequences of aging, and he shared with me some of the most important information about Vitamin C, disease prevention, and premature aging that I’ve ever heard. I have shared this information with my elite athlete patients who then did the recommended Vitamin C Cleanse. As a result, they say their sports performance has improved enormously and that they’ve never felt more healthy and vital. After the Cleanse, my actress patients say that their dry skin has been replaced by skin that has never looked more radiant and healthy, and that the fine lines around their mouth and eyes have almost disappeared. 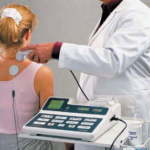 Other patients have reported similar outstanding benefits. Now I’m happy to share this important information about the Vitamin C Cleanse with you. This email is a bit lengthy, but stay with it and you’ll see why this information is so critical for your own longevity. 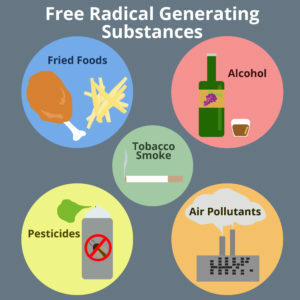 You’ve probably heard about “free radicals” which are atoms, ions, or molecules that contain an unpaired electron that makes them unstable and highly reactive. 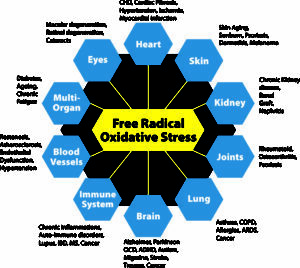 When the body has too many free radicals, serious damage can occur, and they’ve been implicated in the pathogenesis of over 100 conditions including cancer, heart disease, arthritis, diabetes, cataracts, and various degenerative disorders including Alzheimer’s, muscular dystrophy, and Parkinson’s disease. Some scientists have postulated that organisms age because free radicals cause cumulative damage to cell components, DNA, and connective tissues leading to wrinkles, decreased physical capability, increased susceptibility to diseases, and ultimately, death. That’s why doctors encourage patients to take antioxidant supplements to reduce oxidative stress, the damage that results from an imbalance between free radicals and your body’s store of antioxidants. According to Russ, ascorbic acid (vitamin C) is the primary and most potent agent that protects us from free radical damage. While almost all animals and plants can synthesize their own vitamin C, guinea pigs, monkeys, and humans cannot. Guinea pigs and monkeys eat mostly fresh vitamin C-rich foods: fruits and vegetation. Non-human animals, when adjusted for size and weight, synthesize the equivalent of 5 to 15 grams of vitamin C a day, mostly in their livers when stress free. Production can more than double when the animal is distressed. Our genetic ancestors once also had the ability to synthesize vitamin C but appear to have lost it about two million years ago in evolutionary time. We are missing one enzyme in a 6-enzyme process that converts glucose to vitamin C. Scientists estimate that without this mutation and enzymatic loss, our bodies would routinely be making from 10 to 30 grams of vitamin C a day throughout our lives when healthy, and much more when we are unwell or distressed. Since we humans can’t make our own vitamin C, we must obtain it through our diet. It’s well known that severe deficiencies can produce scurvy and other problems, so our government (NIH) has set a “daily recommended amount” of 90 mg for adult men and 75 mg for adult women which is enough to prevent scurvy. Many knowledgeable scientists believe that these levels are scandalously inadequate, for we now have a better understanding of what the optimum levels of vitamin C should be. Research has clearly shown that people with high levels of ascorbic acid in their blood live longer than those with low levels. Russ believes that vitamin C is the “maternal antioxidant that protects and regenerates all others. No substance is more important. No substance provides more benefits.” Its discoverer, Albert Szent-Györgyi, felt it was equal to light and oxygen in importance. What I also learned from Russ is that all not all vitamin C is the same! Probably 95% of commercial vitamin C is synthetic dl-ascorbate which builds up and irritates the gut, so he doesn’t recommend it at all. Humans can only absorb l-ascorbate which is much more costly to manufacture and much more difficult to obtain. That’s why PERQUE, his company, produces a buffered, fully reduced l-ascorbate powder the way it’s found in nature, and thus, it doesn’t irritate the gut or have any negative side effects. It’s naturally buffered with the proper balance of minerals, including potassium, magnesium, calcium, and zinc. Most of us eat relatively small amounts of vitamins C–rich foods. In addition, our food supply contains less and less vitamin C because of premature food harvesting, artificial ripening, and food processing . So how much of a buffered, reduced, l-ascorbate supplement do we need take daily to prevent free radical damage, oxidative stress, the resulting “diseases of civilization,” and premature aging? According to Russ, this depends upon your personal oxidative stress levels which can vary widely from person to person. To find out how much a given individuals needs, Russ developed the Vitamin C Cleanse which involves increasing your intake of ascorbic acid until you reach your saturation level and your intestines forcefully flush out chemical toxins and infectious agents via your stool. Afterwards, most people report that their body feels completely refreshed and rejuvenated, and that they are experiencing a subjective sense of greatly improved well being. Once you calibrate the amount needed to cause the Cleanse, Russ recommends taking 75% of that amount daily. 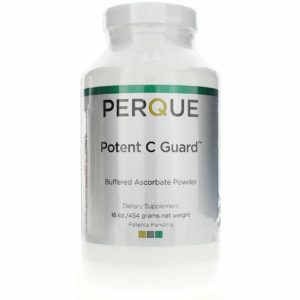 I recently did the Cleanse myself and ended up taking 24 grams of PERQUE’s Potent C Guard l-acorbate powder before my system flushed. Since then, I have been taking 6 grams 3x/day and I feel truly amazing! My hair and nails have grown and thickened, my skin has cleared and tightened, my joints barely ache, and I think even my vision and hearing have significantly improved. Finding out how much l-ascorbate that your own body needs via the Cleanse is something that everyone should do. Call us at 310-474-2777 for an appointment and we’ll explain exactly how to do it and give you the all the supplies you need to be successful. This may be the greatest health return on investment that you’ll ever experience. Mint, Elderflower and Rosehips Tea: The combination of mint, elderflower and rosehips makes for a soothing herbal tea. Rose hips provide a much needed boost of vitamin C, the elderflower lends its immune-cleansing benefits and the mint finishes off the tea with the cooling touch of menthol. Lemon Hibiscus Tea: This is an herbal blend just as good cold as it is hot. Regardless of the way this tea is poured, it provides specific cooling benefits to the body. Hibiscus is high in vitamin C and combats high blood pressure, liver disease and other ailments. Lemon has a kick of vitamin C, too, but more importantly it is cleansing, cooling, and a natural diuretic. Iced Green Tea, Lemon and Mint: The perfect summer refresher. The combination of these three ingredients work together in perfect harmony in order to cool the body down. Packed with vitamin C, menthol and antioxidants, this is another tea that will get your constitution headed in the right direction.